I had the pleasure of being invited to review a new educational website FilmSkills.com. Filmskills.com is dedicated to those who wish to learn the ins and outs of the film industry through an easy to use online educational website. First off, I would like to say that I LOVE the world of online education! I am in favor of online education as it saves you time and money. Educational websites also allow you to learn at your own pace from the convenience of your home. While reviewing Filmskills.com I was not able to watch all the videos as there were so many to watch. The reason for such a high number of video modules is because they go through every aspect of of the movie making process, videos range from script writing and budgeting to editing and audio post production. I truly enjoyed how easy it was to skim through all the videos to find the one you are looking for. Modules hold all the videos by category. Simply drag on the scrub bar on the bottom to skim through all the videos. All the videos also have the ability to be bookmarked, so you can return to your lesson when it is at your best convenience. Bookmarks allow you to return at anytime to continue watching the videos. Many of the modules come with additional resources, so you may be able to find links to books to further your education and/or additional content files or images to help in your film making process. Find additional resources on a specific subject, either by link or content download. The well crafted video lessons include real world examples and valuable explanations by working industry professionals. The advice given by the industry pros is something many schools are not able to do, adding more value to this wonderful website. One of the many Industry Pros, sprinkled throughout the videos adding their advice and insight. In conclusion, I believe Filmskills.com to be a very well thought out website that has many features and great in-depth content. In addition Filmskills.com is easy to use and full of educational value. 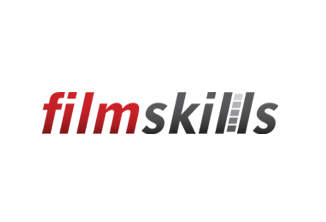 So if you are looking for a educational website that gives you a broad range of learning content in the world of film making then I highly recommend you give Filmskills.com a visit and please let me know what you think. I was not paid by filmskills.com to write this article.